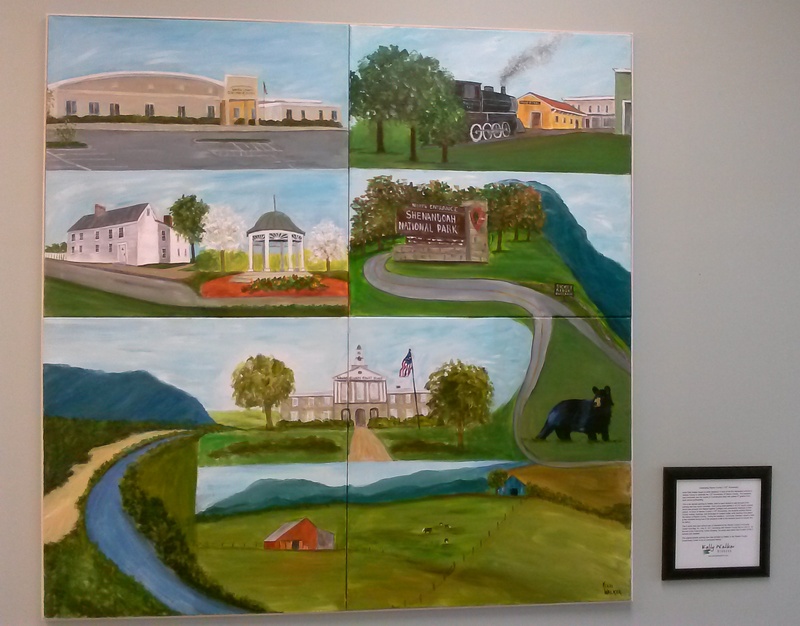 175th Anniversary of Warren County VA | "A Place for Learning"
Back in April I posted about the Anniversary painting that I did with the elementary schools and that I had given the sample painting to the County to hang at the government center. (Read more here.) I said then that I would get some photos to post of how it turned out so while I was at the Center this week I snapped a couple of shots. 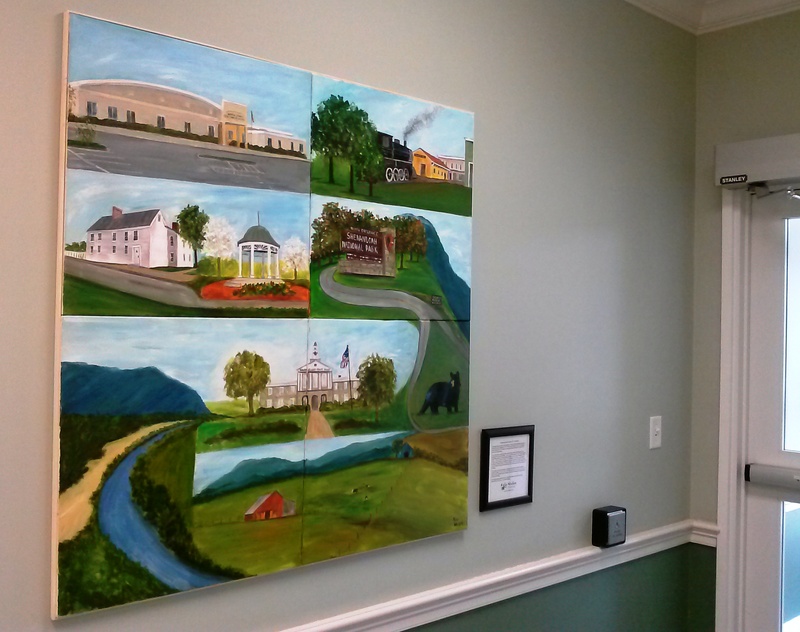 It hangs at the entry to the Planning office. I am amazed at the number of people who tell me they have seen it there. 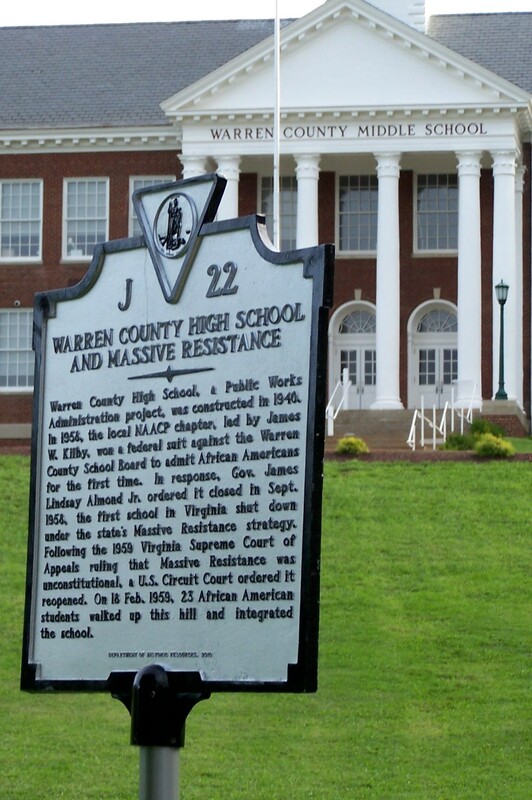 In 2011 I taught an artist residency with kids at all five elementary schools to celebrate the 175th Anniversary of Warren County. 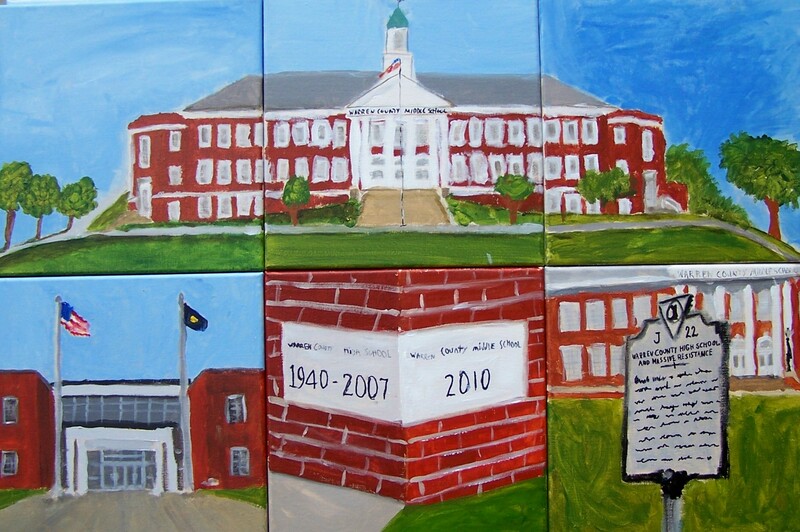 We painted a large painting that each school now hangs for everyone to see. Read more about that project here and here.) For that project I painted a sample painting for the kids to see what it was that they would be producing during our time together. 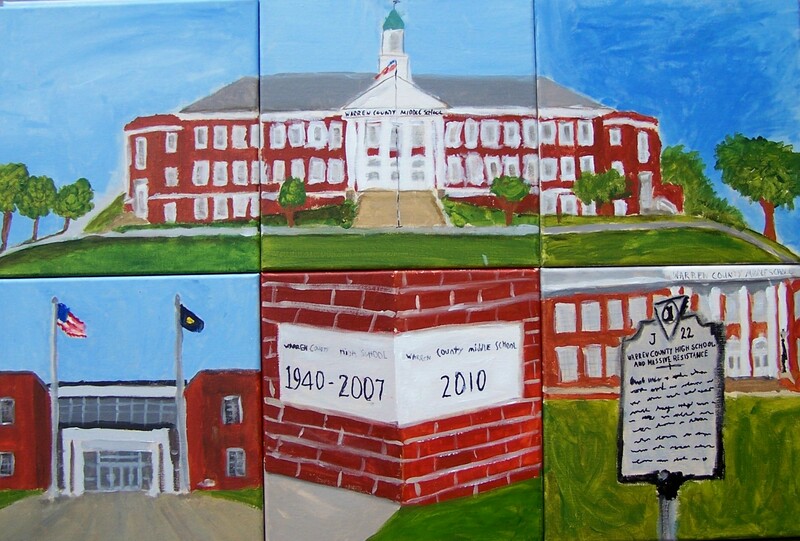 In the upper left corner of each painting that the school kids produced they painted their school. 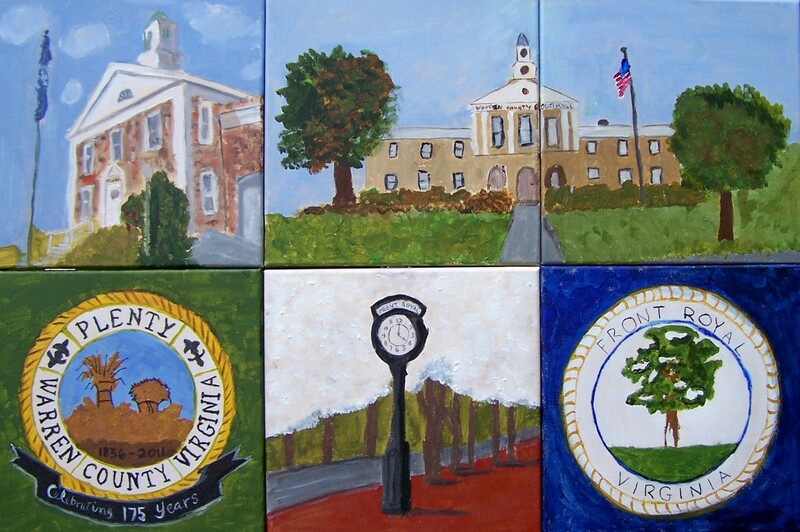 I decided to paint out the school and paint the Government Center on the sample painting and then donate it to hang at the Center. 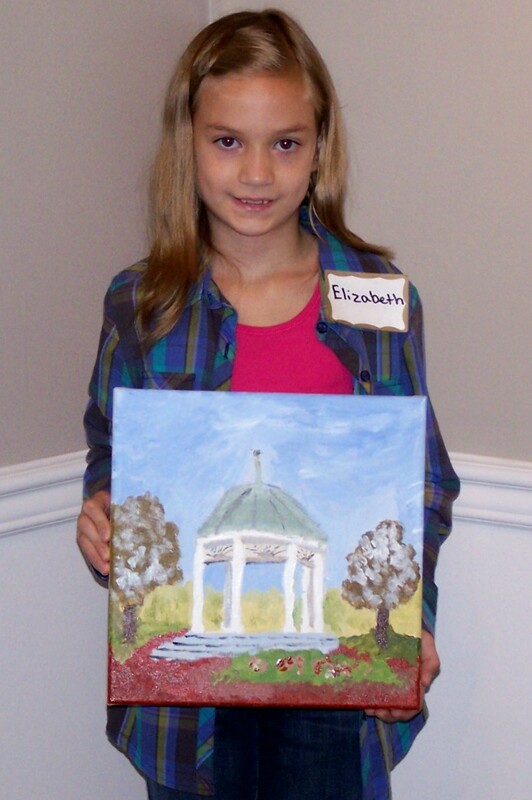 Here is the completed painting. 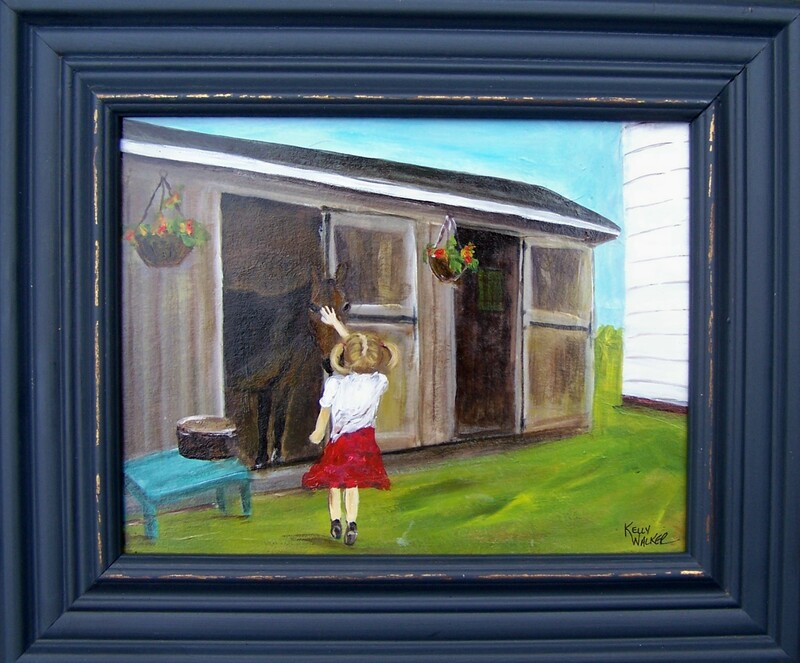 I am meeting Brandy at the Center this morning to hang the painting and I am very happy that they want to hang it right away. I’ll try to have some photos to share soon. 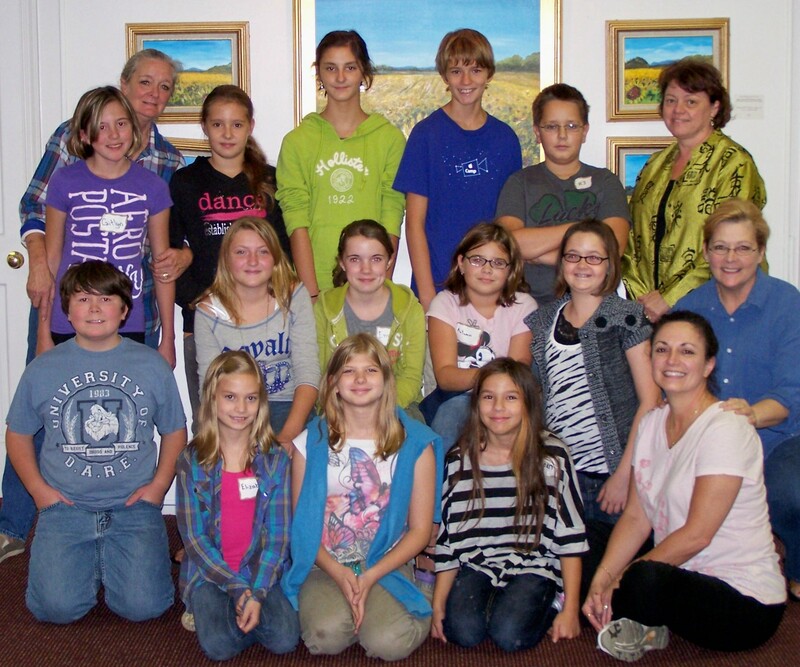 In September we received a grant from Target to teach an art residency at Warren County Middle School. I spent the day with 13 wonderful young people who attacked the project with enthusiasm. 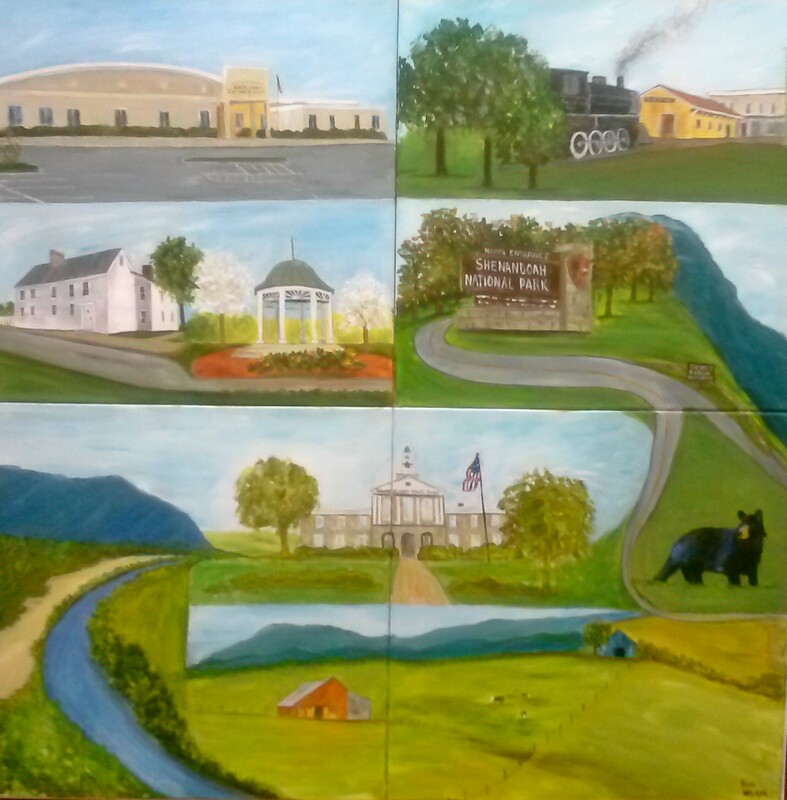 The project was part of the 175th Anniversary of Warren County project so we painted pieces that relate to our history both past and present. 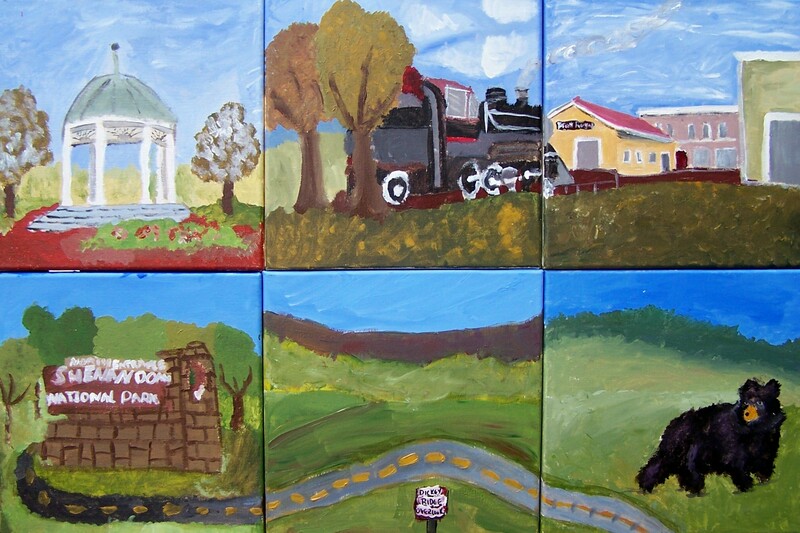 Each student painted two 12″x12″ panels that related to government, education, tourism, transportation, or agriculture. 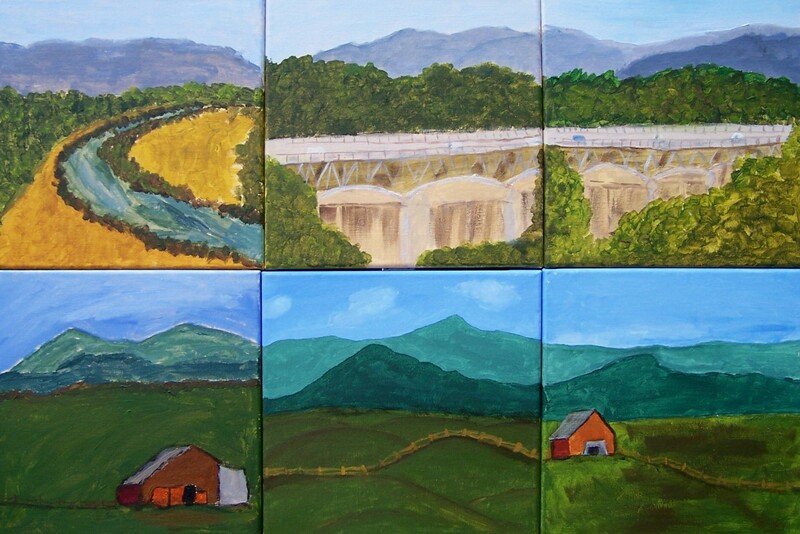 We put these together into four larger panels that will be unveiled this evening at WCMS at 6 pm. If you are downtown this evening and would like to see them in person stop by and help us celebrate these wonderful young artists and their accomplishment! 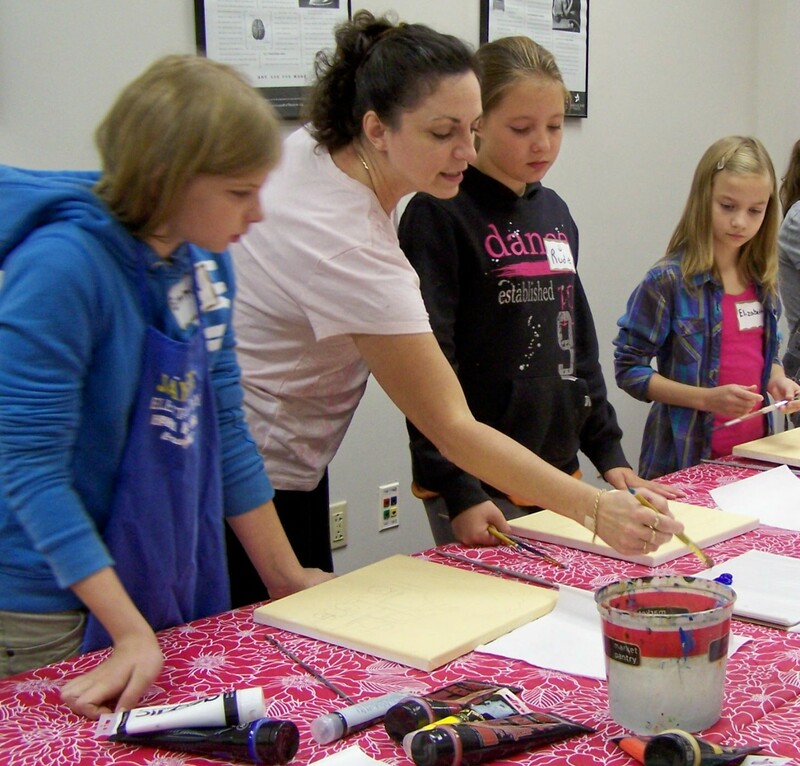 And many thanks to Target for sponsoring this project; to Linda Kusior and Shelly Brugal, two wonderful artists who assisted us with the class; and the Blue Ridge Arts Council for continuing to bring exciting art projects to young people in our community. These are the 24 paintings that the Middle Schoolers painted as part of the 175th Anniversary of Warren County project. They painted panels that represent their school, county and town government, tourism and agriculture in our community. 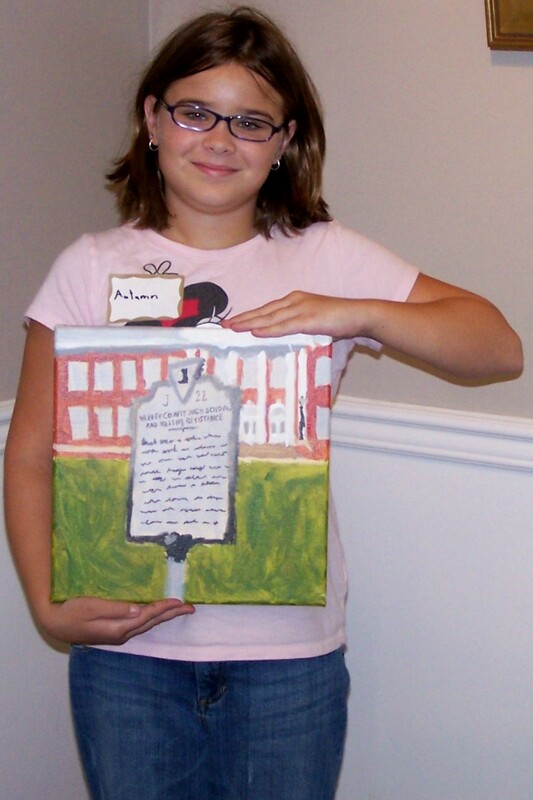 Here is Autumn with her painting of the Historic Marker that is in front of the Middle School along with the reference photo that we used for that painting. She did a fabulous job! 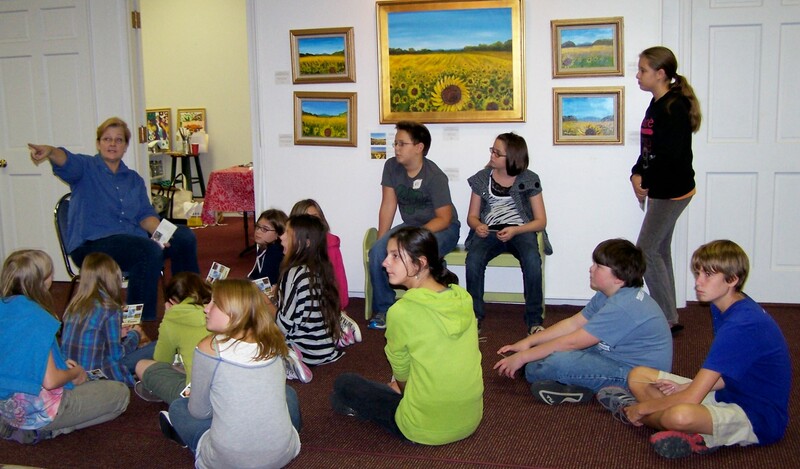 And this is a shot of all the young artists. Terrific work. Hopefully tomorrow we will have the photos of the finished product. Stay tuned. 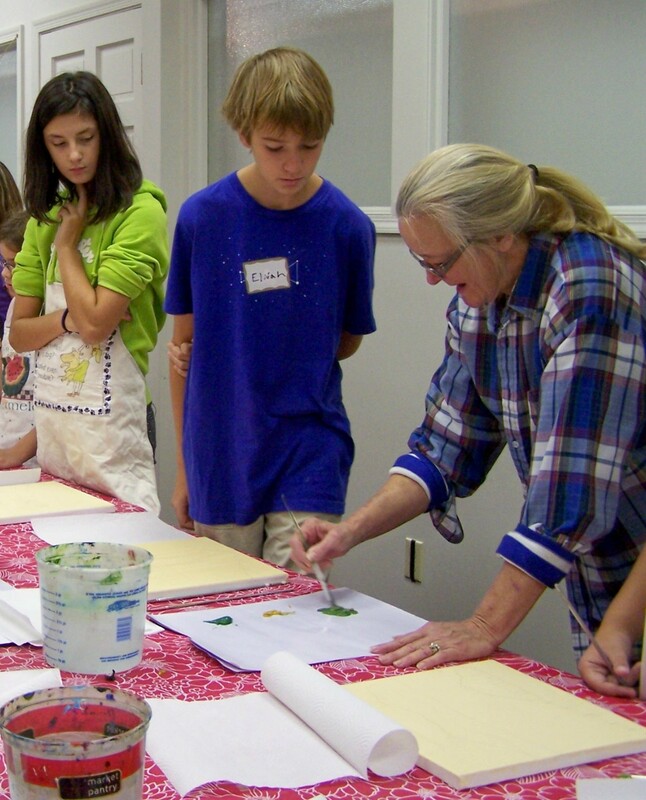 For about 2 1/2 hours yesterday morning and again yesterday afternoon, we had the pleasure of working at the Blue Ridge Arts Council with 13 terrific young artists from Warren County Middle School. 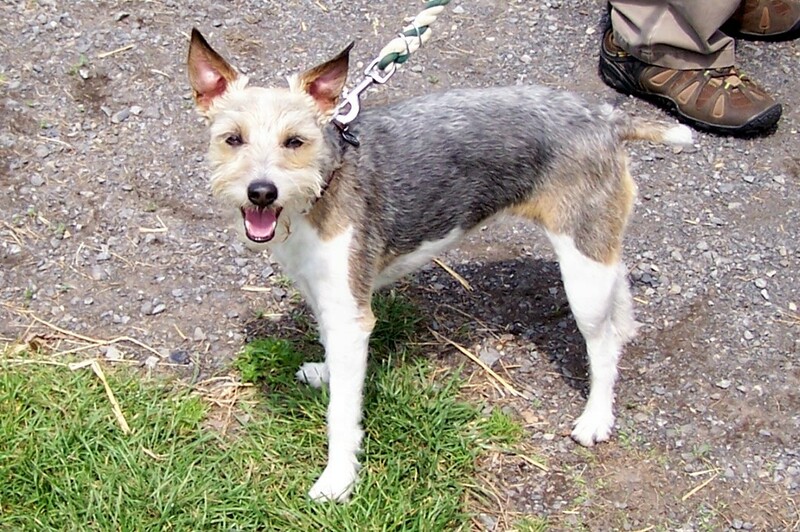 It was a whirlwind of activity from the minute they arrived. 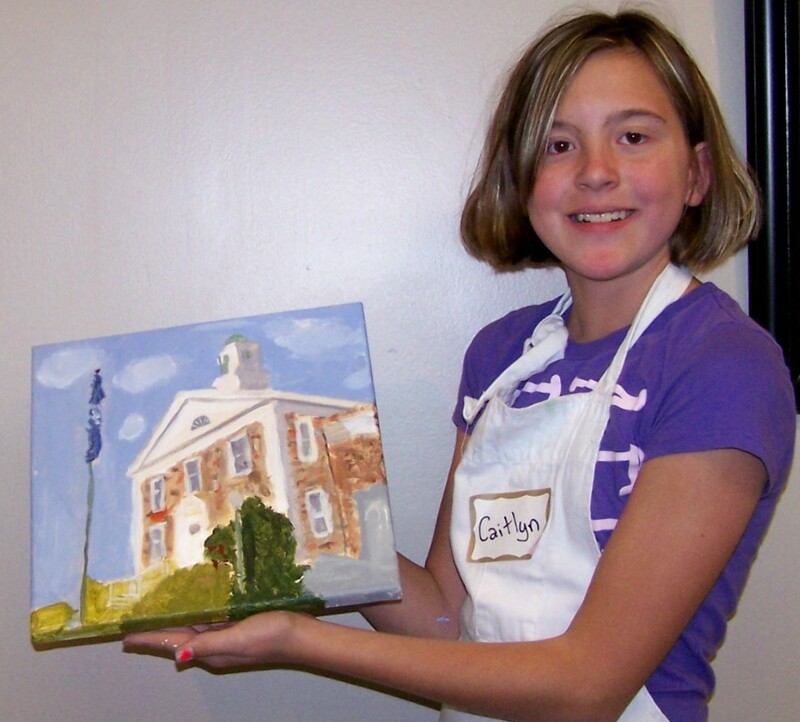 They were given their canvas and started painting right away. 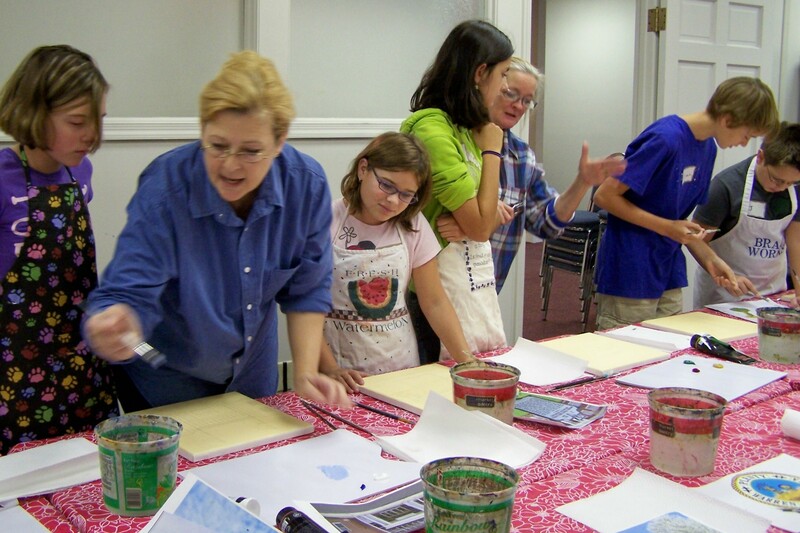 I am so grateful that Shelly, one of my adult painting students came to help. And so did Linda. It would have been near impossible to get as much done as we did without Linda and Shelly working with us. And a busy day it was. 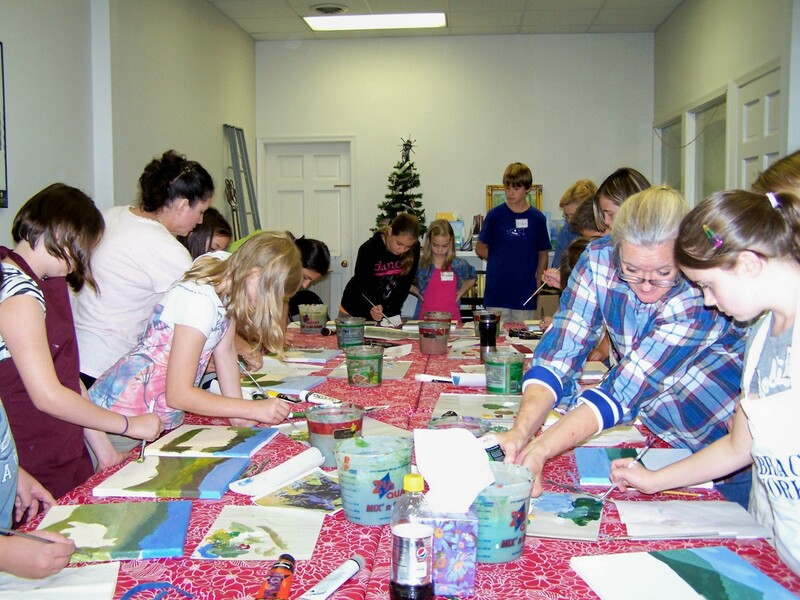 In the few hours that we had those 13 students produced 26 paintings. Here are a few samples of the wonderful work they did. As soon as the pieces are put together I will be posting the finished works of all of these students. Many thanks again to Kym, Shelly and Linda! During the Farm Tour last May I took lots of photos of Barns and Farms for the upcoming show at the Blue Ridge Arts Council. 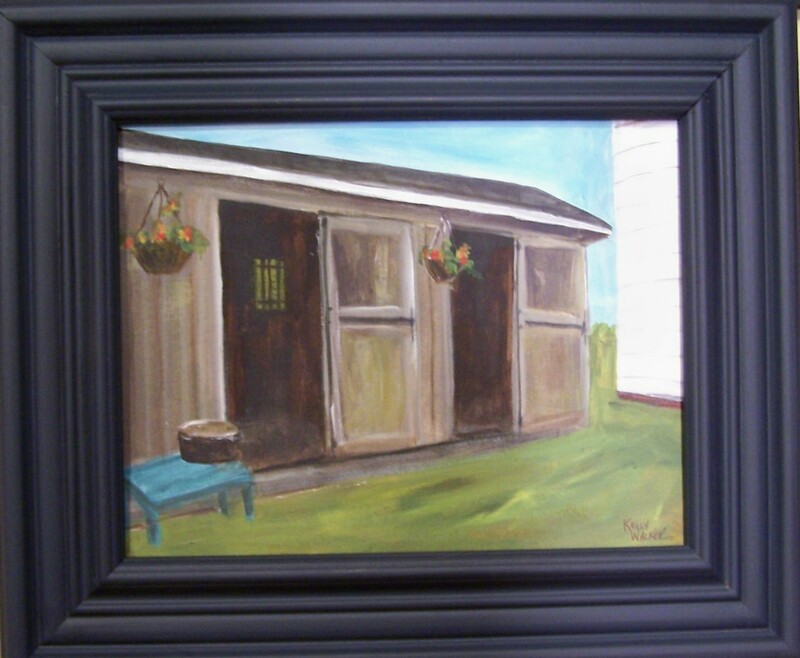 I have painted several including this one of a horse stall barn at Butch Eastham’s farm. There was several children there that day so excited about seeing the horses. I decided it would be better painting with the little girl in it so I made a change. That’s one thing about painting. You can always change something if you decide you would like it better another way! I call this Farm Tour at the Eastham Barn. 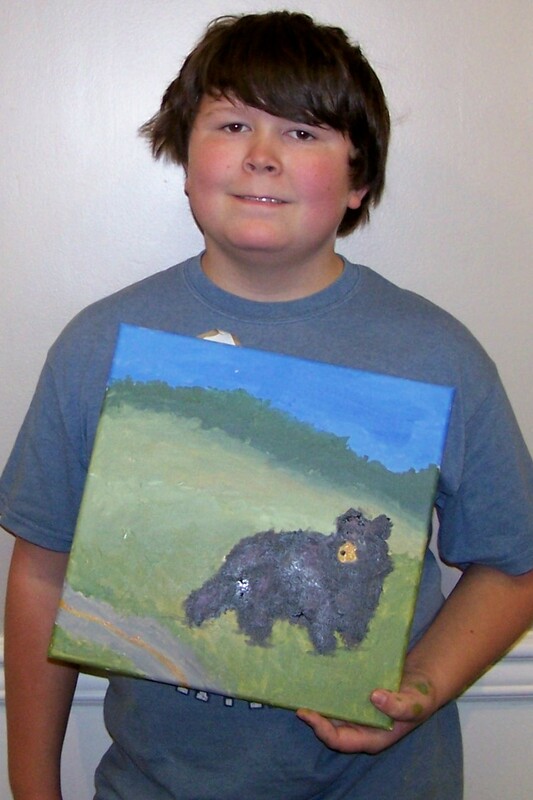 It is an 8″x10″ acrylic on canvas.